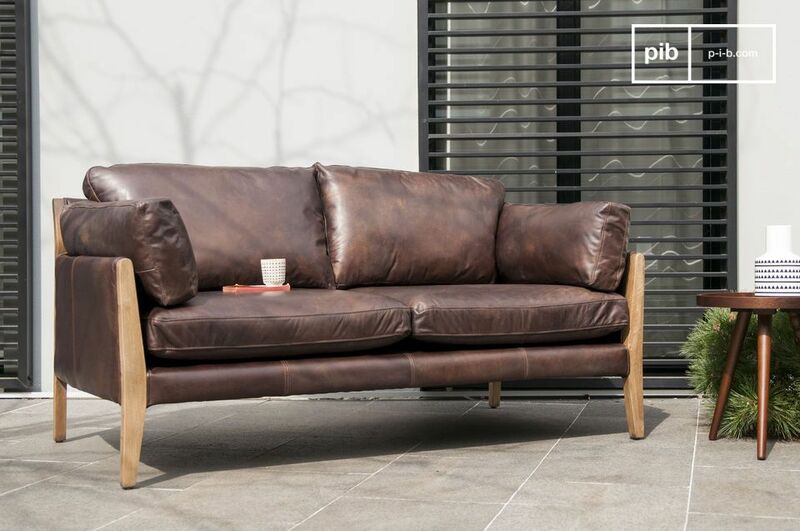 The sofa Ariston is the perfect example of a large piece of seating furniture that has been inspired by the design of the 60s and ingeniously combines wood and leather. The result is absolutely unique. 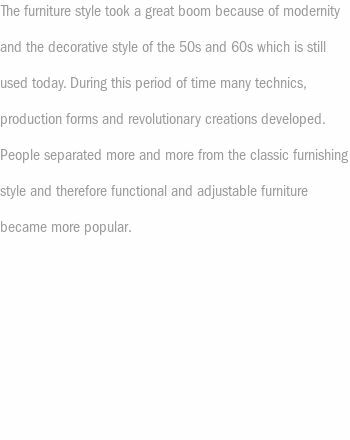 The structure of the sofa is made of lightly varnished solid oak wood, on which the different backrests and seat cushions are placed. 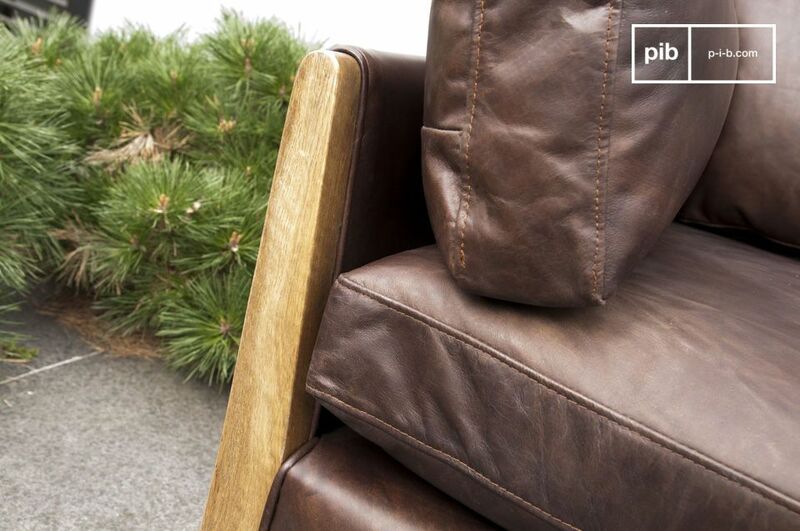 The grain leather of the cushions have a wonderful dark brown colour. 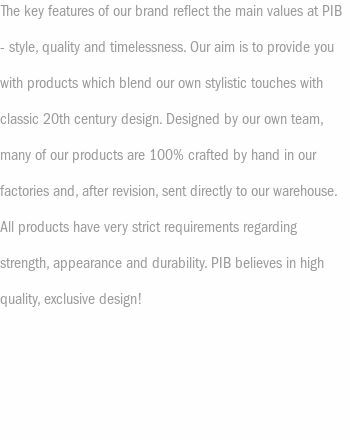 The leather is very comfortable and has visibly present beautiful seams. The dark shade offers a fantastic contrast to the light wood. 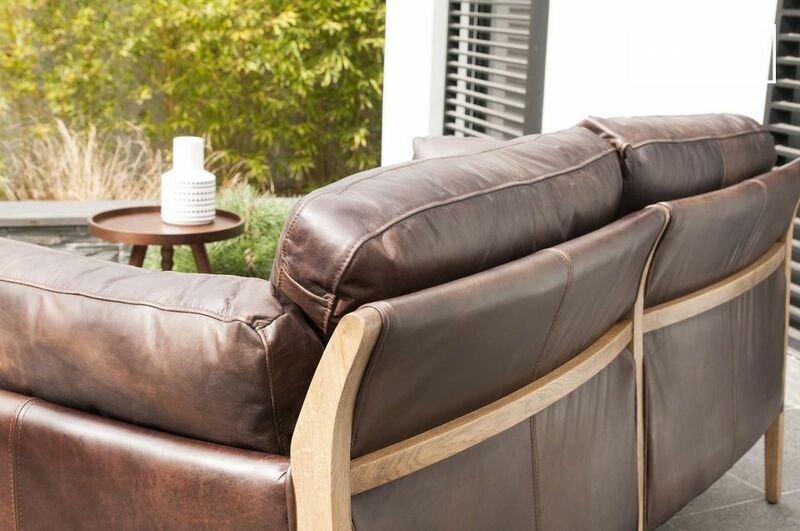 The leather cover of the cushions can be removed to ease maintenance. 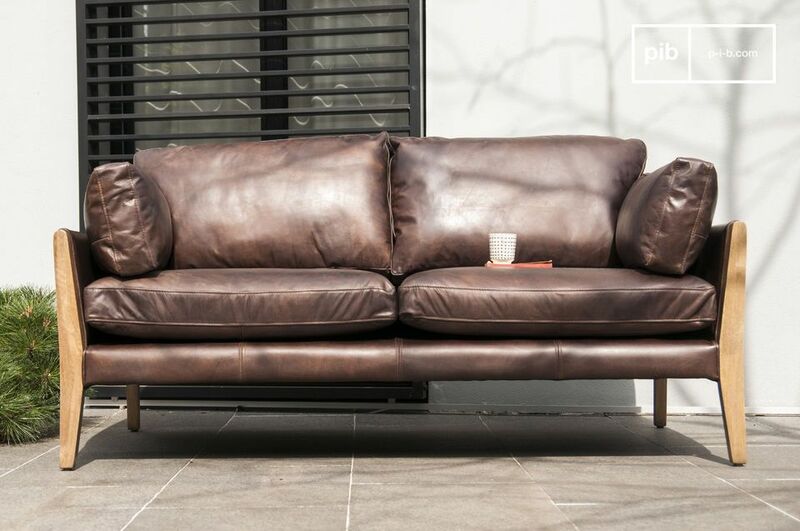 The sofa Ariston will quickly become the favourite among all furniture pieces in your living room. 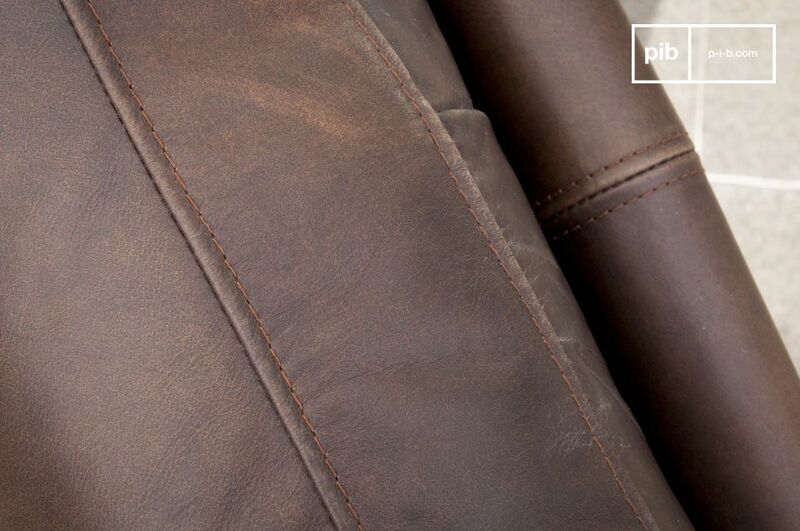 Sit down with your loved ones and enjoy the comfort and the unique beauty of this leather sofa. 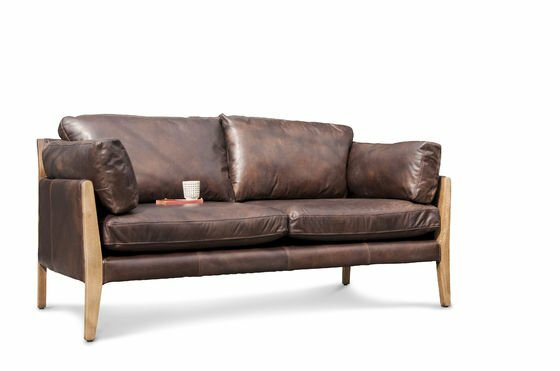 Very good quality, very nice sofa, but the color, wood and leather are much darker than those of the online store so I decided to make the purchase!